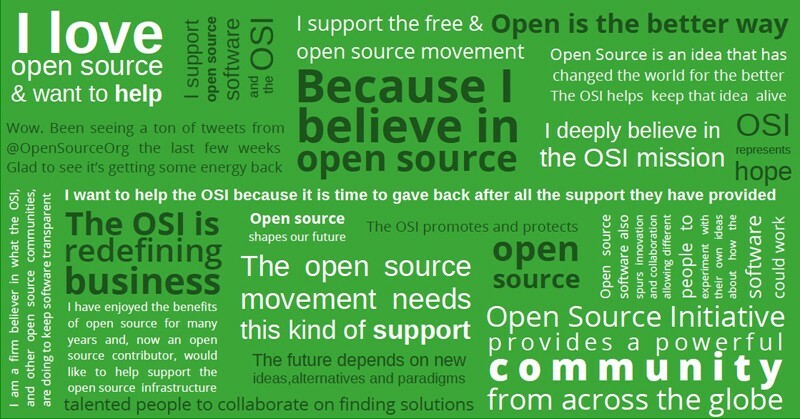 Open letter to protect the definition of "Open Source"
The board of the Open Source Initiative signed an open letter reaffirming the Open Source Definition, with groups like the Mozilla Foundation as co-signers. the Open Source Initiative said “Recently there have been efforts to undermine the integrity of open source by claiming there is no need for a single, authoritative definition. These efforts are motivated by the interests of a few rather than the benefit of all, and are at odds with the principles that have so demonstratively served us well in the past decades. If allowed to continue, these efforts will erode the trust of both users and contributors, and hinder the innovation that is enabled by open source software, just as surely as having multiple definitions of a kilogram would erode and undermine commerce”. Also, it assured, on a blog post, that the open letter target is to protecting the term of “Open Source Software” which as coined in 1998 as software that provides a set of precise freedoms and benefits, including but not limited to the freedoms to run, study, redistribute, and improve the software on which you rely. The Open Source Initiative is an industry group, sponsored by the likes of Microsoft, Facebook, and Google, that decides on the official definition of open source. The open letter comes as companies like MongoDB, Confluent, and Redis Labs are making controversial changes to their open source software licenses to protect their intellectual property from big cloud providers like Amazon or Alibaba.